AUGUSTA, Maine — The Maine Senate asked the state’s high court on Thursday to issue an opinion on the constitutionality of ranked-choice voting in the first of likely many floor fights on implementing ballot questions approved by voters in 2016. Maine narrowly approved the new voting system for gubernatorial, congressional and legislative elections in November to take effect in the 2018 election after Attorney General Janet Mills flagged two issues that she said required constitutional fixes. That has since left the law in limbo. In a 24-10 vote, the Senate invoked a constitutional provision allowing the governor or either legislative chamber to declare a “solemn occasion” and ask the Maine Supreme Judicial Court to issue an informational opinion on legal questions. 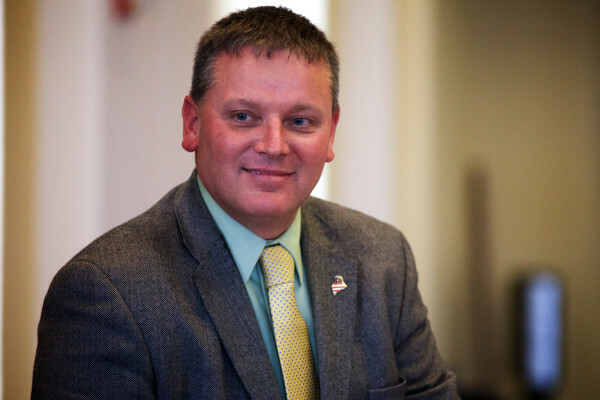 The request came from Senate President Mike Thibodeau, R-Winterport, who said on the Senate floor that he aimed to avoid a crisis in which an election decided under the new system could face a court challenge placing Maine under uncertain leadership. Whether the court will weigh in is unclear. The group that pushed the $2 million campaign for ranked-choice voting and Democratic senators cited state court precedent from the 1970s holding that a solemn occasion doesn’t exist on matters of an effective law. Sen. Shenna Bellows, D-Manchester, made that argument, saying the Legislature could immediately move to amend the Constitution and implement the law, which she noted has a presumption of constitutionality until challenged in court. “I believe we should honor the will of the people and avoid any delay,” she said. The system would apply in races with three or more candidates in which a winner is declared if a majority of voters pick a candidate as their first choice. If not, the candidate with the lowest share of first-place votes is eliminated and second-place votes for that candidate are reallocated, a process repeated until a majority winner emerges. But now, the Maine Constitution provides that election winners can be have a plurality of votes and also says that ballots must be received, sorted and counted by cities and towns. The ranked-choice voting campaign was a concerted effort to end the plurality elections that have decided nine out of the last 11 gubernatorial races, including Gov. Paul LePage’s wins in 2010 and 2014. It would also require the Maine secretary of state’s office to tally votes. Solemn occasion requests have been considered by the high court at least 84 times in Maine’s history, according to research by the Maine Law and Legislative Reference Library. The most recent case was in 2015, when LePage requested a review of 65 disputed vetoes and lost later in court. Court system spokeswoman Mary Ann Lynch said the court will set a briefing schedule after getting the request. The LePage case took less than three weeks to decide.